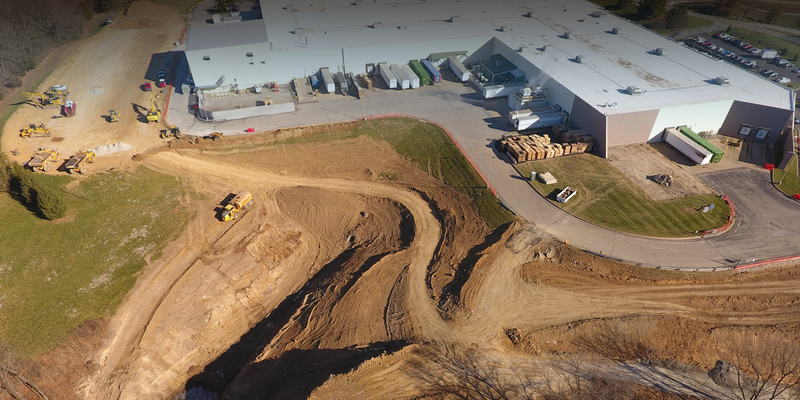 Excavating Contractor in Missouri | Bloomsdale Excavating Company Inc.
"At completion of the sanitary sewer project for the City of Farmington, I want to commend your project manager and employees for their professional workmanship. The job involved work on rights-of-way and within neighborhoods, and was completed without significant disruption to traffic or the daily lives of our residents. We look forward to having your company work on future projects for the City!" "Bloomsdale promised and delivered on a complex earthwork scope within a multi-site infrastructure package. Their honesty and transparency were surpassed only by their expertise and willingness to step to the plate with solutions. They were an instrumental part of our success and I look forward to our next opportunity together." "From our first meeting with members of the Bloomsdale team through project completion, we could not have been happier with our selection. Bloomsdale representatives were accessible, have a great work ethic and communicated with us and other grade contractors very well. Coordination and safety are extremely important on every construction project, but with rock blasting it adds another layer of responsibility. Bloomsdale accepted this responsibility and actually excels in it; even receiving several commendations from our safety director. Bloomsdale obviously manages their finances well, as we can always depend on them paying their project invoices timely. They are truly a first-class company. Our experience using Bloomsdale Excavating is excellent. We have the utmost confidence in their abilities and intend to use them in the future." "I wanted to give you a shout and let you know how great of a job your entire team has done on this project. You all have stepped up and worked through some of the worst weather of the year and without you guys we would not have made it where we have on this project. It’s not often that I am able to write these types of emails, so often in our industry we spend more time berating and arguing what should have or needs to be done rather than thanking someone for their work." "I wanted to extend my appreciation for the outstanding performance and service Bloomsdale Excavating continues to provide for the various projects at the New Fulton State Hospital located in Fulton, Missouri. Since the start of work, Bloomsdale has exceeded our every expectation in regards to schedule, quality, and safety."